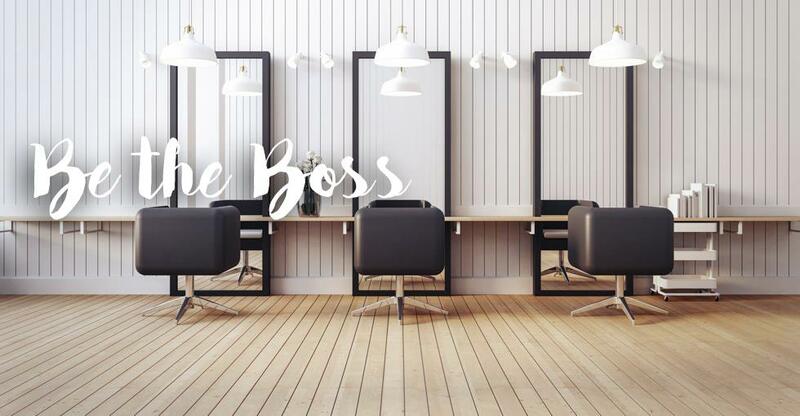 We interview long-time hair salon owner, Lyssa Colant, about what it takes to run a successful salon, what to consider when buying a salon, and more! Whether you’re already working in the hairstyling field, or you’re considering making a career out of your passion for cosmetology, the idea of owning and running a beauty salon has probably crossed your mind at one point or another. We talk with a veteran owner of a highly successful beauty salon in Countryside, Illinois. Her insights will, no doubt, prove very helpful for all who are interested in one day buying a beauty salon, or who want to take the salon they already own to the next level of success. Lyssa Colant is a lifelong hairstylist who used to rent space in a salon — a common way for independent stylists to build their own customer base without investing in all the supplies and equipment upfront. She decided over 16 years ago to double down by purchasing what was then a failing salon, and created Michael D’Anthony’s. Today, Michael D’Anthony’s serves an average of 800 customers per month, making it one of the busiest salons in the suburbs of Chicago. “My duties quadrupled when I bought the salon,” Colant recalls. While she continues to style hair on a regular basis, she admits that managing her eight employees, three renters, and the nitty-gritty of running the business accounts for the lion’s share of her time these days. Asked to consider the impact of owning the business on her personal life, Colant notes that running a service-oriented business that’s so closely tied to individuals and their feelings has made her keenly aware of the wide range of personalities out there. It’s also proven one of the most challenging lessons she’s learned, although it holds tremendous value. “The most difficult part of running this business, for me, has been learning how to put everyone else first, putting any ego aside, and doing the right thing for my employees, my customers, and my business,” she says. After all, with some customers Colant can only describe as “outrageous, entitled women” that will demand, insult, or complain without compunction, “it’s important for new salon owners to realize they might have to swallow some pride” to maintain positive customer relations. That’s not to say that owning your own beauty salon is nothing but stroking the egos of rich, demanding women. The challenges she has faced have been more than balanced by a rich backlog of positive experiences. Over the 16 years, she’s owned Michael D’Anthony’s, that beautiful experience has played out time and time again. What does it take to run a beauty salon? Colant currently employs eight full- and part-time stylists while renting space to three more stylists who are independent. Many salons operate exclusively around renting or leasing space to stylists who operate independently, but Colant has found that when stylists work directly for the salon, they often develop a proprietary interest in the success of the business. It also tends to lessen any competitive tendencies among the stylists because they’re all working toward a common goal. This can translate into greater employee loyalty, more consistent work ethic, and better customer service. So, what’s the most important thing a salon owner needs in order to be successful? “Learn how to be flexible, forgiving, and compassionate with your employees,” Colant says. She went on to offer this advice to prospective salon owners: “If you have those qualities, you will learn as you grow, and you’ll be successful. Is there anything you would have done differently in the business buying or owning process? “I would have bought the building where my salon is located rather than renting. I’d love to be able to modernize the look and feel of the place, especially inside. At the time, I had no idea I would be so successful and grow so fast. If I’d started out purchasing the building, it would have given me the flexibility to do whatever I wanted with the place. At this point, there’s not much I can do in those areas without moving my business, which creates a lot of headaches for a salon." What is the most valuable tool a salon owner has that can grow their business? Sixteen years ago, I would have said the newspaper, direct mail, and the yellow pages were the best advertising options available. They were the core methods I used to build a customer base back when I started. Today, all of those are pretty much gone. Instead, it’s Yelp, Groupon, Facebook, Google, and Instagram. Your business now grows from other people’s opinions. Let’s face it: we put a lot of stock in our friends’ opinions. So, I think new salon owners need to understand that they’re going to live or die based on online reviews. We appreciated the opportunity to talk with Lyssa Colant, owner and operator of Michael D’Anthony’s Salon in Countryside, Illinois. If you’re interested in more insights on buying, selling, or running a beauty salon, check out our other industry articles here. And, if you’re curious whether there are any salon owning opportunities near you, check out our latest listings of salons for sale.